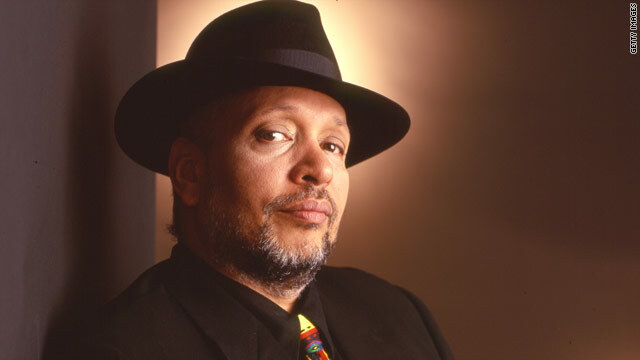 Walter Mosley's private investigator Ezekiel "Easy" Rawlins is moving from fiction to primetime. According to Deadline, NBC is developing a project called "Easy Rawlins," based on Mosley's best-selling series. The novels feature a self-taught black detective who finds himself solving crimes amidst the changing social landscape of Los Angeles from the '40s to the '60s, but NBC will narrow the show's focus to the latter decade. The character is one that moves easily between the segregated worlds of L.A. The first novel in the series, "Devil in a Blue Dress," made it to the big screen in 1995 and starred Denzel Washington and Don Cheadle. Fans of Mosley's work will be happy to know that he's co-writing the television series with "Southland" exec producer Cheo Coker. There's another iconic character rumored to be in the works as well. According to ComingSoon, French studio Gaumont is creating a television studio stateside, and one of the projects in the works would focus on Hannibal Lecter. Details are few, but ComingSoon cites a press release that suggests the TV project would focus on the serial killer's early days, specifically when he goes "head-to-head" with FBI agent Will Graham. Now it's time to play casting agent: Who could portray Easy? And would you want to see Hannibal Lecter on the small screen? Jeffery Wright as Easy. Mos Def as Mouse. They were actually going to do those roles in an HBO adaptation of Cinammon Kiss a few years ago. Guess the project fell out of bed. This would be great T.V. I have been a fan of Mr. Moslley's books for years . I always thought it would make a good show for the networks There hasn't been a good program with a black detective lead since the show "Hawk" on A.B.C. I hope they find the right Easy Rawlins for the part , cause peoople will be watching that closely. I hope the network dosn't give up on putting this on the air . BONEHEADS! Erik is right FRESH BLOOD! Chi Mcbride or delroy lindo as easy....terence howard or snoop dogg as mouse. However, word has it that they are looking for Mouse's character to be portrayed by a white actor. I don't think that will work because Mouse is a stone-cold killer and if the subject matter is taking place during the civil rights era, it wouldn't be realistic. I would be interested to see how they would develop a white gangster type character that matriculates in the black community and gets away with killing several black characters during the civil rights movement...see, it just doesn't work. I agree that Idris Elba is the right choice for the role . He has the swagger for the role , but also can show tenderness , like Easy would show toward his chileren , and lady . I'd love to see Don Cheadle as Easy, even though he played Mouse in Devil in a Blue Dress. He's doing TV now, right? So... I'm not against the idea of Idris Ela, though. Please not Terrence Howard. This is the TIME FOR SOME NEW FRESH BLOOD! Get use to it, because I am coming for it!!!! NO, NO, NO to Terrence Howard!! He is NOT Easy Rawlins! Idris Elba would be perfect! As for Mouse, whoever is chosen would have to be good to compare to Don Cheadle's work in "Devil in a Blue Dress." We already have a fascinating serial killer on cable. His name is "Dexter." I don't think Hannibal the Cannibal would be nearly as much fun. It would be nice to give someone else a chance instead of always casting the same stars, but they probably need a big name to get viewers to watch. I am in love with Mosley's new character, Leonid McGill. Check this series out! Even though I think this would be better suited for cable tv, I will definitely tune in. I have enjoyed the books! I like Mos Def as Mouse, not sure about Easy yet. Idris Elba is acting in "Luther" (I think it was picked up for a second season). Finally, somebody on here with a good sense of humor! However, if they plan to portray Lecter in his early days, Cheney is out. He's older than dirt. Always saw Don Cheadle as mouse...Terence Howard as Easy- he has that world-weary thang going on to hit it off. I agree but switch the roles around. Don Cheadle played the hell out of Mouse in the movie but in the books Mouse was described as light-skinned. I love these books and I hope they don't ruin the characters on TV. Blair Underwood would be PERFECT FOR THE ROLE!!! I like this Blair Underwood idea for Easy, but what about Mouse??? I've not seen anyone mention a good nominee..
Love, love Walter Mosely. Michael Ealy as Easy would be perfect. Hard to say who should play Mouse. Maybe a new up and coming Cat? Mos' Def as Mouse......Terrence as Easy. I can't wait!! BTW I will be watching for sure as the Easy Rawlins series is my favorite and I have always wondered why Hollywood has not jumped on this before now. Also hope they take the time to do it the justice it deserves. Agree with Mos Def as Mouse though I can also see Hill Harper in that role. Idris Elba as Easy possibly though the English accent tends to bleed through in some of his roles. Michael Ealy would be a good choice. Blair Underwood would be a good choice for an older Easy. Sorry but Terrence Howard is the same guy in any role he plays. I don't get it. People ask for more black shows on TV especially major networks. Here you go! Don't doom it to failure. Watch the freakin show! I don't want more "black shows" on tv. Then again, I don't want "white shows" or "Asian shows", either. I want good shows. And I'd like those shows to reflect the world I see around me. So, would I like to see more black actors in good shows? Yes. Larenz Tate is available now that "Rescue Me" is done. He would make a great Easy. I like Danny Glover but he's too old. I'll give it 6 episodes before its cancelled. I absolutely adore Easy, and I will definitely watch. Love this idea. All of Mosley's characters are great. It may not succeed but at least it isn't your typical moron TV show. Rescue Me found an audience and this will also. Although I love the books, this show would work best on a cable network. Easy is a real man with masculine proclivities and the network will make a sham out of great writing by Walter Mosley. I'll tune in for Easy Rawlins. Just finished Cinnamon Kiss and enjoyed it. I don't understand the Hannibal Lecter thing. Sounds like nasty subject matter. I think Mos Def would be an interesting choice for Easy. Or maybe Common. Both musicians, yes, but both with acting chops and two guys I would like to see more of. I like Common but if he is Easy, then I'm sure to tune out. He can't pull that off. Great choices, but too young– esp. if the show is telescoped to the 1960s. Danny Glover? Like the two folks you propose, he'd keep the show politically honest. Or as much as network TV can be– got to admit the idea of this show on a risk-averse broadcast network makes me nervous. Terrance Howard as Easy, Katt williams as Mouse. Done. Brilliant casting. Wow! I love it! Chiwetel Ejiofor as Easy, T.I. (Clifford Joseph Harris, Jr) as mouse. Great choices! Im feeling nervous about some of my favorite books getting ruined like most books to movies do, but that would work, hopefully Mr. Mosley has creative control. Katt Williams as Mouse??? No way. He's not even close to a 'Mouse character...That's going to be some difficult casting though. I won't watch it if they don't cast good people. Who ever said Terrence Howard as Easy, and Kat Williams as Mouse......Genius. I love these books, and rarely read a book twice, but Walter Mosley, and Sister Soulja. I'm so looking forward to this and hope it really happens. How many different ways, in how many different languages can you spell FLOP IN THE MAKING??? Is this going to only be on BET network? I have been waiting for them to do this for years now. I think it will be a great series. The article said NBC. What made you say BET I wonder? Well, I know where you're coming from. BET indeed. I think Idris Elba could pull off Easy Rawlins, but Terrence Howard is a good choice also. I'm loving it,but do a good job on a great book.This would be the best place to start showning new and upcoming Black actors.Just do a good job.